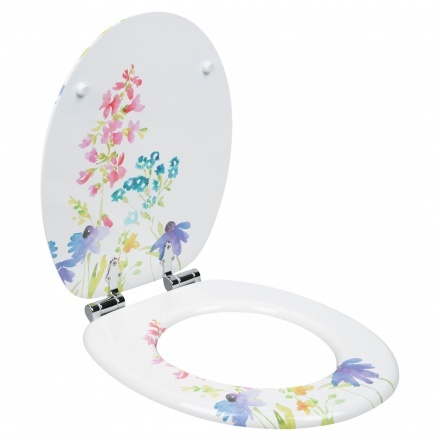 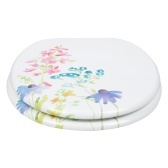 Featuring a lovely finish, this modern toilet seat is an ideal pick for your home. 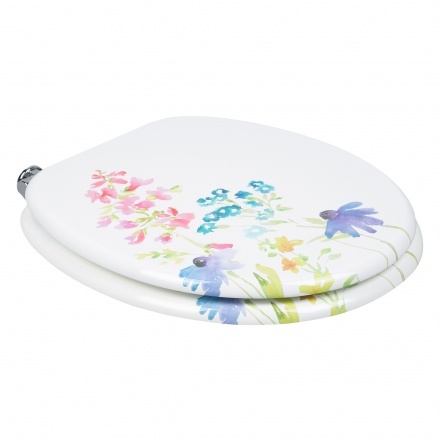 Sporting an oval shape, it features an attractive floral print. 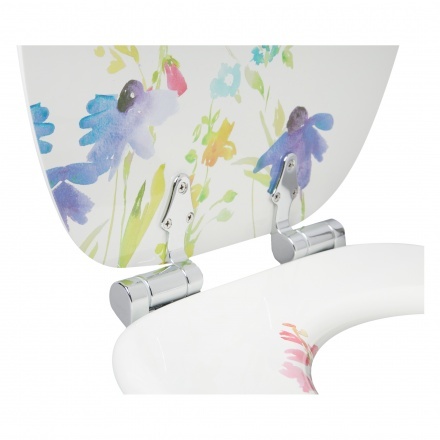 It is made of a light material with a glossy finish.